[New for early 2018] Hello ice cream people! I was going to yell that in caps but I prefer not to scream, especially when trying to do my first review in a few weeks. 18 days of work straight may not seem like a lot, but when it's basically all you think about from wake up to bedtime, it's a little hard for me to turn it off and settle down. That said, I finally had my lunch break to myself yesterday so I headed over to Stop & Shop (Giant) and grabbed another of the new Magnum pints. Ok, technically I went to S&S hoping to find one of those new H-D Trio crispy layers pints but hey, an ice cream break is an ice cream break. Also, I had a little trouble deciding which one to pick. 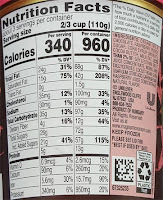 I'm guessing a fair amount of you are curious about the hazelnut variety, but hazelnut isn't really my thing. I already tried the overly sweet white chocolate version, so that left it down to a coin toss between milk chocolate vanilla and this one. It advises that you wait ten minutes but let's try not waiting this time. I can hear the inner layers cracking but the top layer needs a little help from my spoon. I dig in and am met with a very strong raspberry flavor hanging out in this pint. 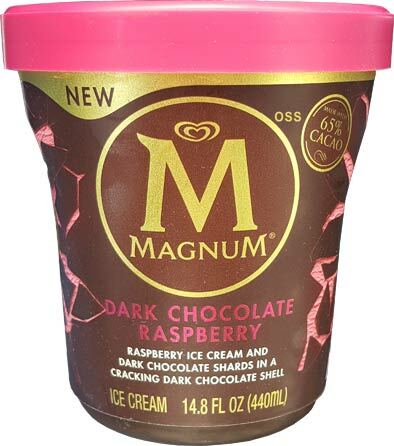 You might remember that I tend to always point out how strong Magnum makes their raspberry flavors. To get more specific, it seems like they are specifically going for a raspberry cordial type flavor and I would say that they succeed. 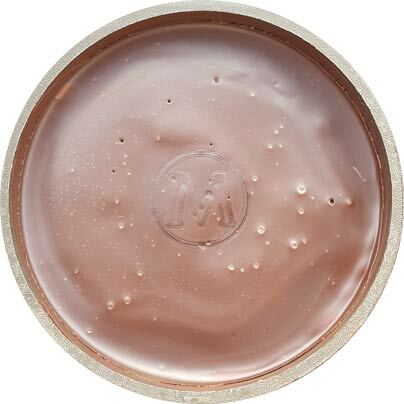 In fact, it makes me think that the new upcoming Magnum Double Cherry Truffle bar will taste exactly like a cherry cordial. What else? Yet again I am surprised at how soft the ice cream inside is. I guess surprised is the wrong word since it's always a non-dense affair. One might argue that they should throw in a raspberry swirl but I don't think it would change a whole lot here. All the chocolate everywhere is fun ofcourse. It's not too dark or bitter so it works pretty well here in it's attempt to balance out the bold raspberry flavor. 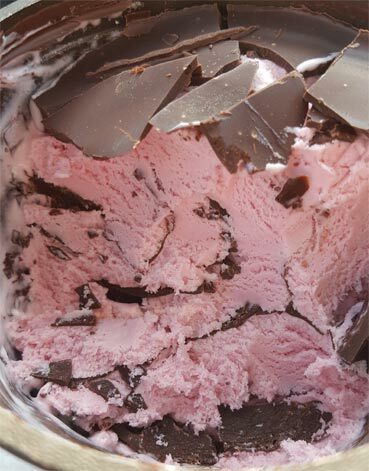 Tons of chocolate is always an easy excuse to keep digging through a pint. 1.) It would cost more to produce, rendering the pints more expensive by maybe 2 or 3 dollars. If something is too expensive, customers won't buy it. 2.) The caloric density is already out of control, from all of the chocolate. Hagaan Daz standard vanilla is a whopping 270 calories per 4 oz alone from all of the egg yolks (which is the source of the density). And if the success of "Halo Top" and it's competitors have taught us anything it's that consumers are paying attention to that now. I haven't seen these in my store and I've never even had a Magnum bar (chocolate shells on ice cream aren't my thing) but I bet the hazelnut one is the tastiest. I love chocolate and hazelnut together. This might sound rude (and it's coming out of my brain pretty snarky), but it amazes me how much Halo Top has brainwashed people, especially with that "best selling" PR hocus pocus from the summer. Yes, ultra light "ice cream" is the current trend, but it's that, just a trend. Better ice cream would not put this 2-3 dollars higher. Haagen-Dazs has a similar product at a similar price point. 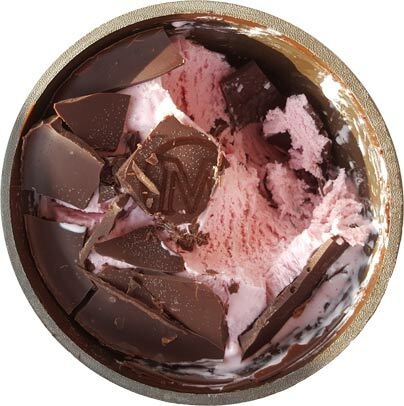 Magnum ice cream has always been an inferior thing, it just didnt matter as much in bar form. I will agree that better ice cream would add calories, and yes, Magnum has always had calorie issues (Talenti use to make a bar that was better tasting and had better nutrition stats for example). You don't sound rude at all, however I think you missed my point. I wasn't implying that "Halo Top" is the future of ice cream or anything, but that it's fast success is proof that consumers are paying more attention to calories in treats, and considering the obesity and diabetes epidemic that's strangling western civilization right now, that's a great thing. And before anyone replys back with how they just have "real ice cream" in moderation, practice portion control or have it as an occasional treat, that's fantastic. Bully for you. But not all of us were fortunate enough to come from families that taught us moderation and healthy eating habits, so we're learning all of this in adulthood. 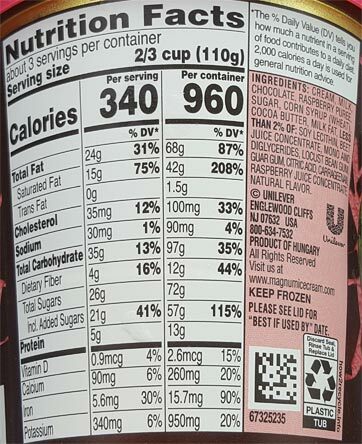 I haven't had Halo Top in months, but being exposed to it taught me that ice cream doesn't have to have 300 calories per serving to be good. Therefore I got turned onto "Turkey Hill" which, while not a "light ice cream" is remarkably lower in calories and sugar than Ben and Jerry's, and tastes just as great. But getting back to the Magnum pints : you say HD's "Trios" line is similar to these Magnum pints but it looks like more work, and factory tricks were put into these things more so than "Trios" (and you gotta pay for that). Magnum is also boasting a high cacao level, which you also have to pay for. I don't recall the Trios line advertising the cacao level in the chocolate. ok, couple things in response: I do agree that Halo Top has done a great job of setting itself up in the market and grabbing a good amount of freezer aisle space. What I try to tell people though is that there has always been a healthy section in the ice cream aisle, Halo Top is just the current trend/favorite in this space. Just think back to when double churn and smooth churn were huge, and then there was the froyo trend, and the greek froyo trend. The healthy side is always changing, but there has always been a healthy side. as for portion control, let me share my advice (which was meant to be a winter post but never happened). We have these great little glass cups, about 6-7oz a piece and I use them for my evening ice cream every night. I'm getting too old for high octane stuff before bed, but I want something more filling than light ice cream, so I go turkey hill all natural (aka about 150 calories per 1/2 cup). I fill it to about the top and do my best to slowly eat it. the glass is great because you still have that visual of eating ice cream, plus the glass lets you gauge how much is left. Timing helps too as we often eat late (6:30-7) and then I'll have this evening snack around 8:45-9:15. If I want the crazy stuff (B&J, H-D, etc), I have that earlier in the day and use that as a replacement for two smaller snacks. wait, one more thing. Yeah, you could definitely argue that Magnum chocolate is better, but also factor in that Haagen-Dazs has way more experience making pints which probably led to the modern machine that spits out Trio pints in a more cost effective way. 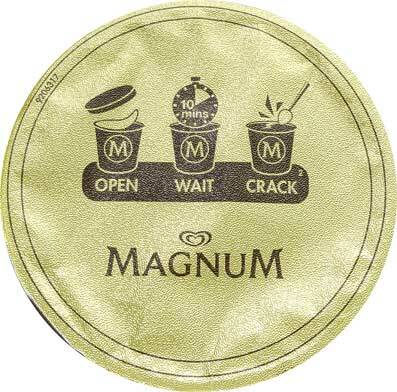 If you get a chance, grab a few bites of a Trio pint and hopefully you'll agree that the extra effort magnum puts in just doesn't pay off as well as it should. Tried it today. Chocolate was very good but the raspberry tasted very off. Won't buy again.